The studio is a shared creative hive in the heart of Nelson. We have art openings, events, workshops, but also just day to day chill creative vibes for the awesome people that make up the shared space. Come be a part of our 1,000 square foot creative design, desk, + studio space, overlooking Baker Street. 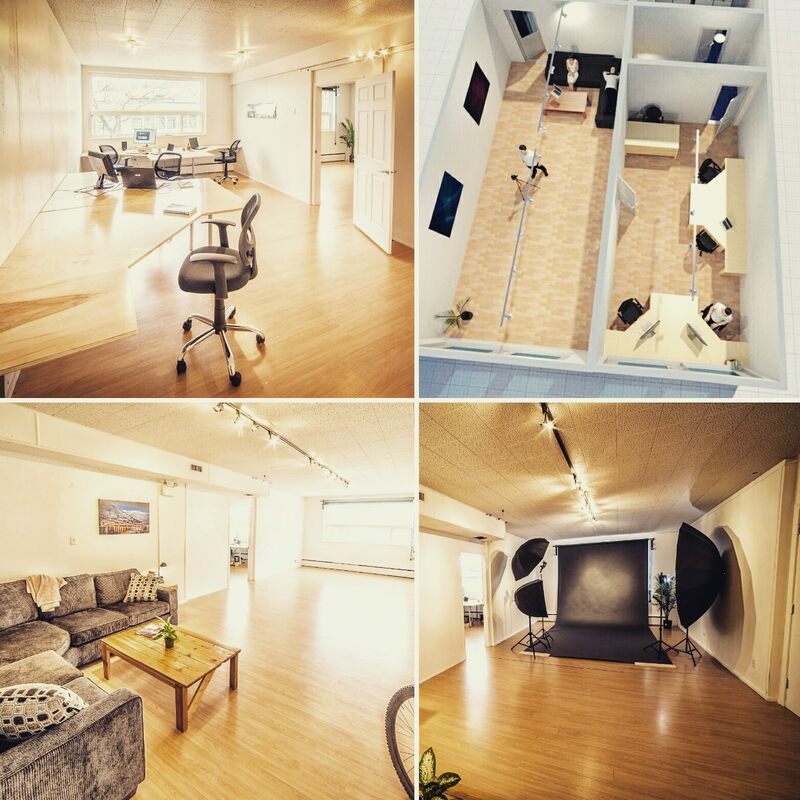 It features a bright and modern co-working space with lots of room to work, hang out, and enjoy having your own dedicated creative zone right in the heart of town. Small kitchen and in-office fridge, oven, microwave. Large sectional couch for chill spot. 2 Large Storage Rooms for Stuff +things.